Welcome to GutterinGRepairs.com - the ‘Guttering Repairs Team’ serving West Sussex. We are a team of independent guttering specialists and roofers that offer a professional and complete roof and guttering repair service in West Sussex, for residential, commercial and industrial clients. Here at Guttering Repairs we are not a window cleaning company that are offering guttering repairs and gutter cleaning services as a side product – we are a team of reviewed and rated roofers and guttering specialists serving West Sussex that offer an outstanding and highly rated roofing and gutter repairs service with free no obligation quotes. We focus on what we are really good at, specialising in guttering and roofing services as we know our team of rated roofers and guttering experts are excellent at what they do and don’t want to lose their well earned reputation of being roofers and guttering specialists in West Sussex that can be relied on. 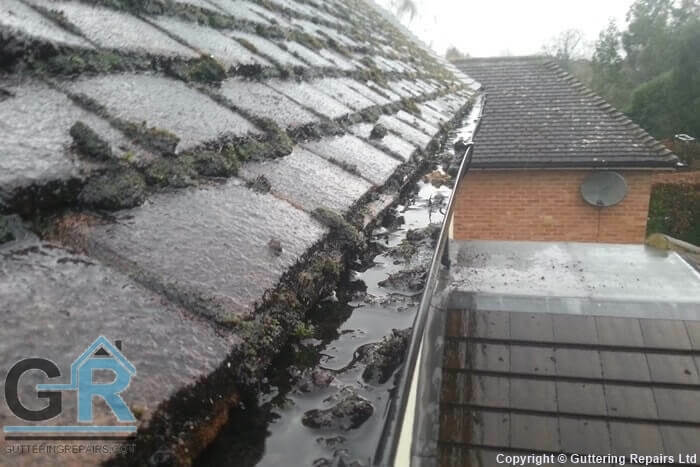 Here at Guttering Repairs our guttering specialists and roofers in West Sussex know the roofline area inside out so you know you are in safe hands when you choose Guttering Repairs Ltd for roof repairs or guttering repairs on your West Sussex home or commercial building. When having any roofing and guttering work carried out on your West Sussex home or business it is only natural that you would want the work carried out with the best quality products and materials and completed by the best possible roofing and guttering experts to the very highest of standards... and of course you want great value for money too. Well here at Guttering Repairs that is exactly what we aim to do and will keep on doing to ensure we always offer complete customer satisfaction. As a team of roofers and guttering specialists we offer roofing and guttering repair services in West Sussex, because we have local rated team members you know that your work will be completed by a local roofer serving West Sussex, giving you the peace of mind that they aren’t far away if you need them to do some more work in the future. Our guttering specialists and roofers in West Sussex can repair, clean, replace and install new roof gutters and downpipes according to your requirements. We have many years experience completing guttering and roofing repairs on private homes, historic buildings, listed buildings, farms, industrial buildings, commercial properties and so much more. Call us now or request a free quote to see how we can help with your guttering repair and roof repair requirements for your West Sussex property.